[Zawya.com] The Dubai government will initiate a new system in cooperation with airlines by the end of next year to stop blacklisted persons at their boarding points before they travel to Dubai. A database system will be in place, which will store information related to inbound travellers, and the authorities will give permission to the right persons before they board a plane to Dubai at their home port. Colonel Khaled Naser Al Razouqi, Assistant Director-General of the e-Services Sector at the General Directorate of Residency and Foreigners Affairs, Dubai, said that the system will help reject entry to people who had previously committed a violation in the country or those who do not obtain an entry visa. The system will not allow a person to embark a Dubai-bound plane if he or she has already been blacklisted. Speaking to Khaleej Times, Al Razouqi said that the system will let officers of the directorate to know the names and details of travellers who plan to head for Dubai by air, thanks to a link with airline companies and travel operators who will send data about their passengers to the directorate. The directorate will consequently verify the names and contact the airlines or travel operators to provide them with the names of prospective travellers prohibited from entering the country. Such persons will not be allowed to get on board the plane. Al Razouqi stated that Terminal 3 of the Dubai International Airport has now installed smart e-gates. All other currently operating e-gates will be replaced with the smart ones over the coming year, taking the number of the new e-gates to 100. “The new electronic gate is characterised with so many security features. Most importantly, it automatically scans a traveller’s passport quicker. It does not require the traveller to preregister with the General Directorate of Residency and Foreigners Affairs as in the Emirates e-gate cards,” said Al Razouqi. The smart e-gates consist of some developed technical devices which can read a traveller’s passport automatically, and can scan the face and eye over a high-definition camera and instantly compare the scan result with the passport. The new system can store the whole information of its users and could verify names of blacklisted travellers or those being wanted by the authorities. The entire operation takes just 12 seconds, he said. 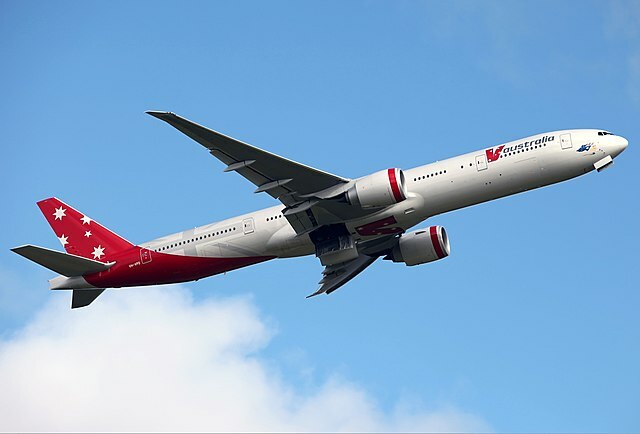 Read more of this story at Zawya.com…..
[Gulf Daily News] DUBAI: Abu Dhabi‘s rapidly-growing Etihad Airways has bought a four per cent stake in Virgin Australia, its fourth overseas deal since December as the airline tries to compete with Gulf rivals. The airline, founded eight-years ago, has already bought stakes in three other carriers in a push to chase the big Gulf state-backed airlines like Dubai’s Emirates and Qatar Airways. Etihad said it had acquired the 3.96pc Virgin Australia stake for $35.6 million via market purchases over the past few weeks. “At a point in time, we would like to take it (stake) to a minimum of 10pc, if we get the necessary approvals,” Etihad chief executive James Hogan. The Virgin stake shows Etihad’s willingness to make acquisitions to compete with its larger Gulf rivals, which are increasingly challenging European, Asian and Australian carriers on long-haul routes. Hogan said that the growth strategy is designed to make it the Gulf’s top carrier. He said the airline would take delivery of 100 aircraft over the next eight years but still would not be the biggest airline in the Gulf. “We believe that by investing and partnering it enables us to extend our network,” he said. In December, the unlisted airline raised a stake in Air Berlin to nearly 30pc from just under 3pc, for about 73m euros. Last month, it bought a 3pc stake in Irish airline Aer Lingus as a precursor to a commercial tie-up that could……. Read the rest of this story at Gulf Daily News…..
[The Journal] Emirates has introduced a larger aircraft on its Dublin–Dubai route to cater for increased passenger demand, two months ahead of its scheduled introduction. The Boeing 777-300 was due to be rolled out on the daily route from July, but has been introduced from last week in order to cater for higher-than-expected demand for seats on the route. The service began operation with an Airbus A330-200, with space for 237 passengers, on January 9, but Emirates announced within three weeks of that launch that it would roll out the larger Boeing craft from July. From May 1, however, the larger Boeing craft – which also increases the storage capacity for luggage, from 15 tonnes to 25 – has been running on the route in order to satisfy the demand. Emirates’ senior vice-president for commercial operations in Europe and Russia, Salem Obaidalla, said the airline had continued to be impressed by the ”phenomenal performance” of the new service. 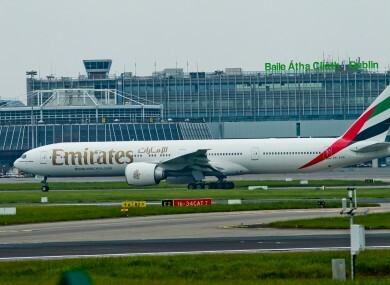 The airline has previously said that the capacity offered by the Airbus craft, which allowed 3,318 people to travel from Dublin to Dubai and back each week, would usually be enough to cater for the first two or three years of a new route. Read the full story at The Journal…..
[7 Days in Dubai] Emirates airline’s cargo section set a new record this week – by flying horses from Oman to London for HRH The Queen’s Diamond Jubilee celebrations. The 112 horses were flown by Emirates SkyCargo on two flights from Muscat to Stansted, London. The first shipment of 70 horses was the largest number ever transported by the airline on a single freighter flight. The horses, of the Royal Cavalry of Oman, were flown in on Boeing 777s for the Diamond Jubilee Pageant, which takes place from May 10-13 at Windsor Castle. The pageant is a major event in the private grounds of Windsor Castle with more than 550 horses and 1,000 dancers, musicians and performers from around the world taking part. Hiran Perera, cargo planning senior vice president of Emirates said: “With our Dubai hub now a major player in the world of horse racing, we have gained considerable experience in the care and transport of horses and fly …..
Read the full story at 7 Days in Dubai…..
[Khaleej Times Interview] Airlines are facing a tough time because of rising fuel prices, but they remain resilient and continue to grow as tourism is also increasing, SriLankan Airlines chairman Nishanta Wickremasinghe said. Citing examples, Wickremasinghe said despite worries such as the Thailand floods, Japan tsunami, rising oil prices and unrest in the Middle East, people continue to travel, pulling the tourism industry up, and the airline sector is benefiting from it while placing orders for new aircraft. “It’s a tough call for airlines now, but we are resilient and we are here to go forward,” Wickremasinghe told Khaleej Times at the Arabian Travel Market, or ATM, in Dubai. Tourism is to stay and airlines are to stay, he added. He said the airline is upbeat in the Gulf region, the reason why it has increased its frequency to the region. The airline currently flies 47 times a week to nine countries in the Middle East, extending SriLankan’s renowned warm hospitality to Abu Dhabi, Dubai, Bahrain, Doha, Muscat, Dammam, Riyadh, Jeddah and Kuwait. “We have increased the number of flights and upgraded some of our aircraft to ensure passengers are pampered and relaxed several thousands of feet in the air,” he said. He said because of Sri Lanka’s location and connections from Colombo, it makes it ideal for most travellers to enjoy dual holidays in the Sri Lankan capital and the Far East, or Colombo and the Maldives, for nominal fares or special packages with SriLankan. Over the past months, SriLankan has been upgrading its long-haul aircraft cabins, with flat-beds seats installed in business class. Seats are also equipped with the latest inflight entertainment system with audio/video channels and video games. Business class passengers also have an on-demand movie library. [Daily Reporter] DUBAI, United Arab Emirates — To say that the head of Dubai’s Emirates airline wears many hats is something of an understatement. Sheik Ahmed bin Saeed Al Maktoum holds several government positions in the Gulf city-state, and is an uncle of Dubai’s ruler. He was appointed chairman of Dubai World in 2010 to oversee the troubled state conglomerate’s turnaround plan. But it is role at the helm of Emirates airline for which Sheik Ahmed is best known. The University of Denver graduate became chairman of the newly formed airline in 1985, and later took on the job of CEO too. Today he oversees one of the world’s fastest growing carriers, which boasts more than 120 destinations in 73 countries. 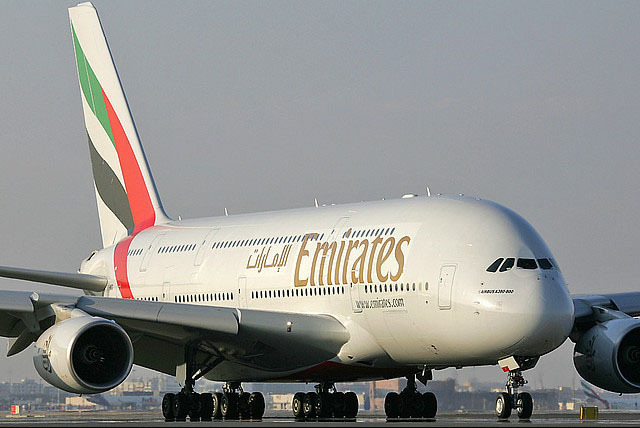 Emirates Group, which includes the airline and related businesses, earned $1.6 billion in fiscal 2010. It expects to post another annual profit later this month. The airline is a huge buyer of new airplanes, with standing orders for more than 230 jets. It operates the world’s largest fleet of Boeing 777s, and was one of the first carriers to use Airbus’ double-decker A380. Emirates’ torrid growth means it is constantly adding new destinations. Some are exotic, such as recently added Lusaka, Zambia, and Vietnam’s Ho Chi Minh City, starting next month. But the company is also expanding its reach in the United States. It now flies from Dubai to six American airports, including Dallas/Fort Worth and Seattle, both added this year. It plans to add Washington flights in September. Two weeks ago, Emirates announced a new codeshare deal with New York-based JetBlue Airways. That arrangement will tack an Emirates code and flight number onto JetBlue flights from New York’s JFK airport to a dozen U.S. destinations, including Chicago and Boston. Read this great AP Interview and story in full at the Daily Reporter…..
[Gulf News] Dubai All UAE flights to New Delhi are in for a steep fare hike following a 346 per cent increase in airport charges and a user development fee (UDF) that will be levied on passengers by the Indian capital’s airport regulator, Airports Economic Regulatory Authority of India starting May 15. Indian airline official "Taxation in India is over the top. Already, 50-56 per cent of airline costs go into taxation"
The approximate increase in ticket prices, according to the country’s airport operator, is estimated to be around Rs290 (Dh20) in the domestic sector and Rs580 in the international sector. The current economy return fares from Dubai to Delhi range from Dh1,500 to Dh2,000 depending on the airline. An industry expert told Gulf News last night that the increase could result in fares between the UAE and Delhi rising by as much as 15 per cent. Tour operators in Dubai and Sharjah expect fares to go up as early as next month. An Emirates spokesperson told Gulf News: “Emirates is concerned by the proposed increase in airport changes at Delhi airport. We are currently in discussions with the relevant authority and have no further comment at this time.”…. Read the full story at Gulf News…. DUBAI: Spicejet has been approached by several Gulf-based and Southeast Asian airlines but will not jump into negotiations before the government reaches a crucial decision on foreign investment, its chief executive said on Wednesday. "We have been approached by several Gulf and Southeast Asian airlines, all on a tentative basis,"
“We have been approached by several Gulf and Southeast Asian airlines, all on a tentative basis,” Neil Mills, the loss-making budget carrier’s chief executive, told Reuters. India allows up to 49 percent foreign investment in Indian carriers but bars foreign carriers from picking up stakes. But with most carriers suffering losses, the government is now mulling allowing foreign airlines to invest directly. India’s cabinet is expected to make a decision on Foreign Direct Investment (FDI) rules this week. “There is nothing more serious than tentative talks to see if we are interested. We have said that we are interested in exploring any option for us that makes business sense but until a decision has been taken on FDI there is no point in taking it further,” Mills said in a telephone interview. He declined to name any of the airlines involved. Dubai’s Emirates airline said earlier this week it is studying new opportunities to buy foreign carriers if they fit the Gulf emirate’s strategy, adding that it is interested in an investment in India if carried out at the right price. India’s embattled carriers have long lobbied for looser foreign ownership rules. Indian airlines are laden with $20 billion in debt and probably lost $2.5 billion in the fiscal year that ended in March, according to Centre for Asia Pacific Aviation, a consultancy. Kingfisher, India’s second largest carrier by market share, is urgently seeking funds as it battles to stay afloat. Despite the turmoil, industry analysts say India represents a tempting prize for foreign airlines seeking access to its market of 1.3 billion people. Read the full story at The Economic Times (Reuters)…. Dubai is set to overtake Heathrow by 2016 as the world’s largest international airport. Last year Heathrow handled 69.4 million passengers. With both parties opposing expansion and the building of a third runway, it is set to be eclipsed by its international vals. By 2020 Dubai expects to cater for 90 million passengers thanks to expansion of existing terminals and the construction of a new one capable of handling 20 giant Airbus A380s. Even this will be dwarfed by Dubai’s plans for a new monster airport by the middle of the next decade. With five runways, it is anticipated that it will be cater for 160 million people by the late 2020s. Its expansion plans along with the aggressive growth of Paris and Frankfurt has intensified pressure from aviation and business leaders for the Government to have a change of heart. Katja Hall, the CBI’s Chief Policy Director, warned that Britain was in danger of becoming a “branch line” unless it action was taken. “The eleven major policy reviews on airport capacity since the last full-length runway was opened in the south of England in 1948 illustrate the degree of political challenge here. But the consequences of this indecision can no longer be ignored,” she said. Willie Walsh, the head of the International Airlines Group, welcomed the Coalition’s decision to reopen the debate on runway capacity in the South East, but added that all options should be considered. James Hogan, the chief executive of Etihad, also called for Heathrow to be allowed to expand…..
Read the full Daily Telegraph story…. An American passenger on an Emirates Airlines flight EK229 from Dubai to Seattle suffered a heart attack after complaining of feeling unwell, and is now receiving medical treatment in Tehran after the plane diverted to Iran’s capital, the ISNA news agency reported on Saturday. Iran's civil aviation spokesman says an American is receiving medical treatment in Tehran after his plane was diverted to the Iranian capital when he suffered a heart attack on an emirates flight from Dubai to Seattle. The mid-air emergency occurred on Friday as the Emirates aircraft was in Iranian airspace. The plane landed at Tehran’s Imam Khomeini international airport and a medical team took the 52-year-old American to a hospital in the capital. Mr Mosayebi added, “Despite international sanctions against the Iranian people which also endanger their lives, yesterday we helped an American citizen in our country”. The Swiss embassy in Tehran, which handles US interests in the absence of Iran-US diplomatic ties, declined to confirm or deny the report to AFP, referring enquiries to US officials in Washington. Mr Mosayebi’s office told AFP on Saturday that the American man was still in the Tehran hospital. It did not identify him. The Emirates website lists a flight, EK229, that goes from Dubai in the United Arab Emirates to the U.S. west coast city of Seattle.